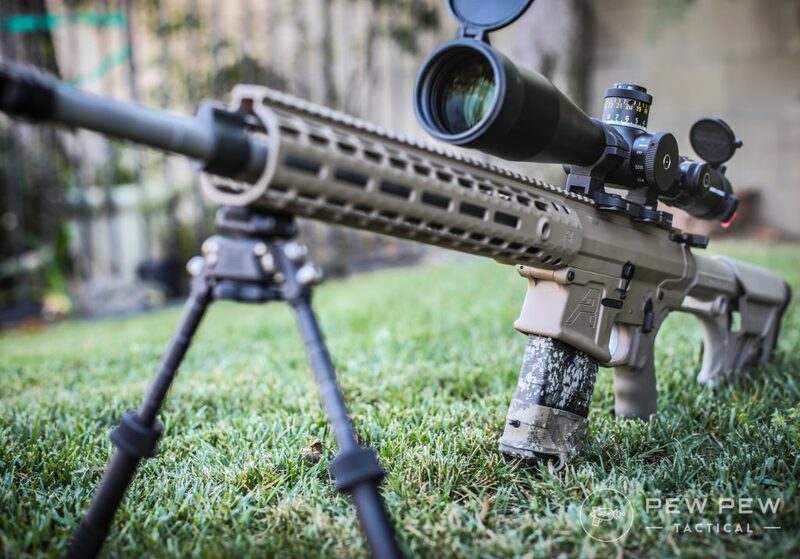 If you’re doing any kind of precision long-range shooting with your AR (like maybe with the shiny new .224 Valkyrie cartridge you’re probably going to be shooting from a bench rest, or a prone position, more so the later if you’re really trying to reach out and touch something far away. We’ve talked before about shooting while prone, and one of the things Travis mentioned was the importance of a good bipod. 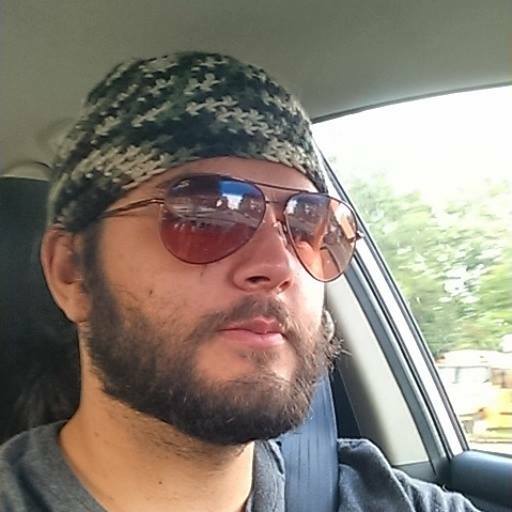 Now unlike my buddy Travis, I (sadly) don’t have any experience with something like the big 240 he used in the Marines, but I like stretching the legs on my AR’s from time to time, so I’ve gone through a number of bipods, from the cheap to the “guess I’ll just skip eating this month” so I like to think I have a pretty good idea what to look for in a bipod, particularly one for an AR-15. What makes a good AR-15 bipod? Well, for me, an AR bipod and a bipod for say, a bolt gun, are pretty similar really, but there are a few considerations for an AR bipod that make certain ones slightly better than others. Let’s talk about what makes a good AR-15 bipod, and what bipods you should be looking at if you’re interested in shooting with one. Why a Bipod in the First Place? Shooting off bags or with a ransom rest is great and all, but good luck hauling those around if you’re hunting or worse, participating in action shooting sports or even worse, actual combat. A bipod, used properly, gives you a lot more stability than trying to shoot free-hand, and it attaches directly to your rifle, so you don’t have anything else to lug around, though it does add some weight to what, except in the case of a precision rifle with a carbon fiber barrel, is probably already a fairly front-heavy gun. What Makes a Good Bipod? Let’s talk about some of the considerations that go into choosing a bipod for your AR-15. This is the criteria I used for my recommendations below, and are what I’d suggest you look at if you’re planning on ordering off the menu and getting something that’s not listed below. Like a lot of things, the best bipod for you depends on your application. If you’re shooting a big .50 cal, you’re going to need something extremely robust and sturdy. If you’re shooting a lightweight .22 target rifle, you still need something that’s going to give you a stable shooting platform, but you can get by with something a little less robust. 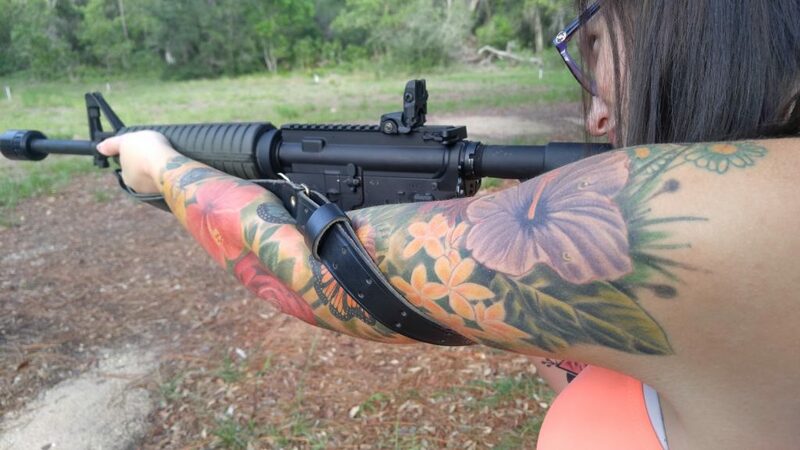 Most AR-15’s are fairly light in the recoil department, and you’re likely to be moving around with it, unless you’re just doing some target shooting at the range, so you are best with something lighter, if you can get it. As with most things, you get what you pay for, so if you think you can get by with a $50 airsoft bipod on your $1000 (or more likely $2500+) precision rifle, you are sadly mistaken. 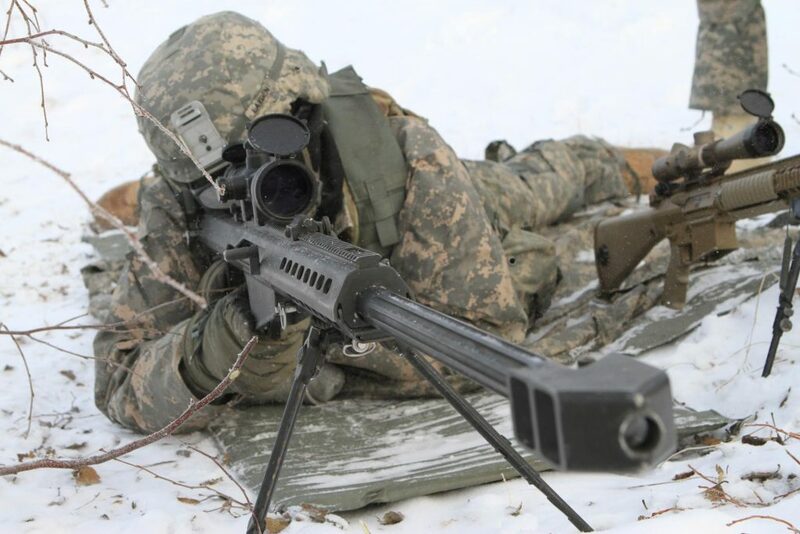 Your bipod is going to undergo a lot of stress, between the recoil of the rifle, and supporting the forward load you put on it to control said recoil. 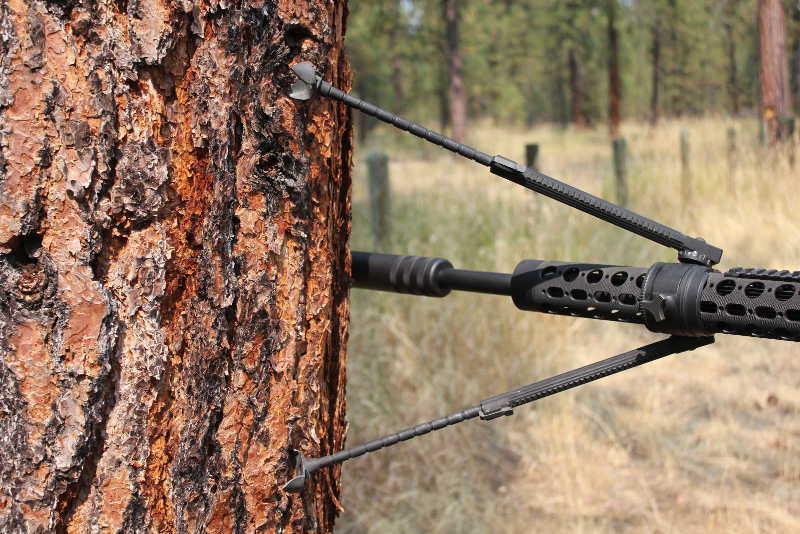 Because of these stresses, we want a bipod that is going to stand up to repeated use and abuse. Now, if you’re looking for a rifle you shoot twice a year, you can skimp a little here. If you’re looking to hunt or compete with your bipod or just plan on target shooting a lot, buy once, cry once. Go with a nicer one. It’ll save you money in the long run when your cheapo knockoff won’t lock in place anymore. Height is another thing you need to choose based on your specific circumstances. 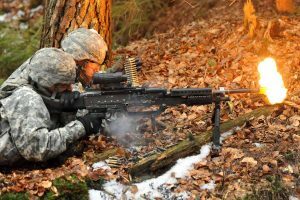 For one thing, the bipod needs to be able to reach a height that is comfortable and appropriate for the shooter. It’s absolutely possible for a bipod to be too low. Most bipods have legs that adjust from 6”-9” which is a pretty standard height, but I personally like legs that go up to at least 15” to accommodate a wider range of shooting positions and angles. Some other little quality of life things are worth considering as well. Are you mostly shooting on hard-packed dirt in the desert, or are you hunting over mostly soft-ish ground? Are you shooting off barricades and obstacles? Maybe you’re using the side of your deer stand or a tree limb most of the time? Hunters and target shooters have different needs when it comes to bipods. 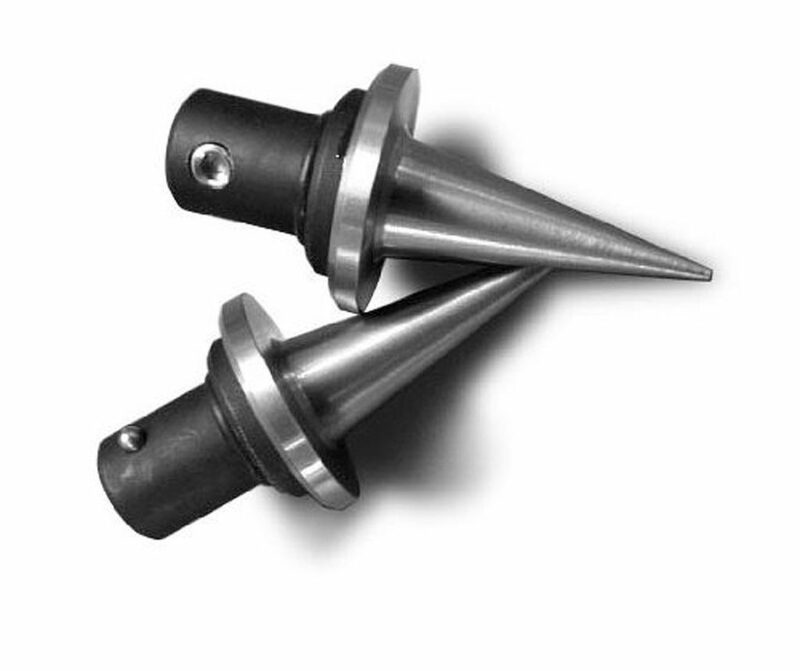 There are specialized feet that excel on all these different terrain types and in these situations. Personally, I like a bipod with interchangeable feet so I can have whatever I need when I need it, but in general, I’d say go with a more aggressive foot than you think you’ll need. 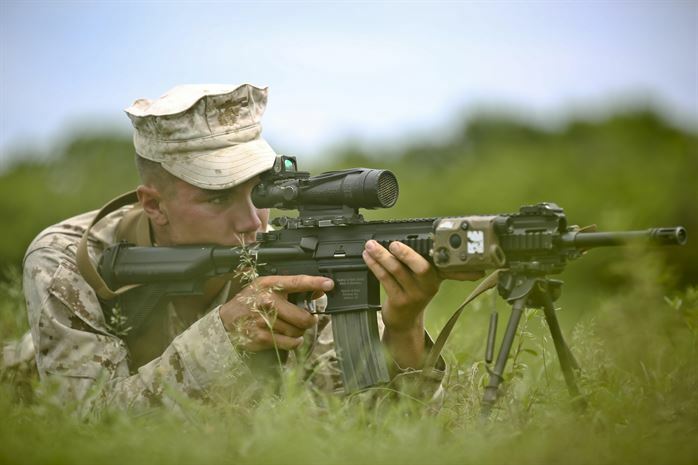 Soft surfaces are stable surfaces, and hard-packed turf can cause your rifle to bounce more under recoil, which can make you follow-through and follow-up shots more difficult. In general, your sights should stay on target all the way through the recoil impulse so if you find your crosshairs way off after a shot, there’s a chance your bipod isn’t gripping the surface it’s resting on well and is bouncing up. This is why we push forward to “load” the bipod, which is made easier with a more aggressive foot that grips the ground or other surfaces better than a smooth rubber one. You can get some really aggressive after-market bipod feet like these for the Harris bipod. This isn’t strictly necessary but notched or otherwise marked legs that let you get a really precise level are nice. These are also nice if you regularly shoot from the same bench and want to have a consistent height. A bipod that can pan left and right and tilt up and down is great for folks that may need to track a moving target, or otherwise have a large area they need to cover, but it’s not strictly necessary if you’re, for example, target shooting or even doing something like 3-Gun where you’re generally going to be shooting in one direction for safety purposes (not that many folks use a bipod for 3Gun, but you do you). Many bipods come ready to attach to the forward sling swivel on a bolt gun, which is something your AR probably doesn’t have, so may sure either you get one that works with your handguard, or you get an adapter that has a sling swivel for the other style. A good sling can be pretty stable in a pinch, but isn’t nearly as stable as a good bipod. Generally, a Picatinny mount with a QD lever is the way to go. Alright, with the criteria out of the way, let’s look at some recommendations. These are generally going to be for brands, or particular lines, rather than specific bipods because you’ll need to choose the one that meets your particular needs. If you have any questions though, be sure to drop a line in the comments and I’ll try to help you out. Harris Bipods are on the lower end of the quality scale, but that doesn’t mean you should discount them. They are perfect for those on a budget, especially since your AR isn’t going to put the stress on it that a larger caliber would. I like the Harris 1A2-LM in particular because of its lightweight, and easy-on-the-wallet price tag. If you’re looking to give this bipod thing a try, this is the perfect entry-level bipod in my mind. They can regularly be found on sale in the $60 range, which is quite good for the quality, and very good when you consider that some high-end bipods (that we’ll get to in a minute) can easily hit ten times that price. Atlas Bipods are my preferred flavor of a bipod for a couple of reasons. First, they’re well made. I’ve dragged mine through dirt, mud, lost it off the side of a boat for about 15 minutes (the rifle survived too, no it wasn’t my fault, yes I was furious), and generally abused it and never had a problem. My particular one is the same as the one below. Now, I know it’s almost $300, but that’s actually pretty cheap compared to some of the really high-end bipods out there. I’ve used this bipod on a .300 Win Mag rifle with no problems, so I can comfortably say it’s as bomb-proof as you can get at this price point and it doesn’t bounce under heavy recoil. It also has a really solid height adjustment, and a wide variety of OEM and aftermarket feet you can easily swap out to suit your personal preference. What’s your take on the Atlas? GG&G is another middle-of-the-road bipod option that is also good in this price range and is also made in the US like the Atlas Bipod. I’m mainly including this one because I’ve heard such good things about it from other serious shooters. You can get quality GG&G bipods for a little less than what you can find an Accushot Atlas for. In general, I’d say go for either one, depending on which one is cheaper, and how important some of that Atlas line’s extra features are. For a lot of people, the $60-$80 price difference between the Atlas and an equivalent but cheaper GG&G bipod could make the difference. Are you one of those “overkill is underrated” types? Me too. If you want a bomb-proof bipod that you can also use as a club once you run out of ammo, the Elite Iron Rev Lution is where you should look. 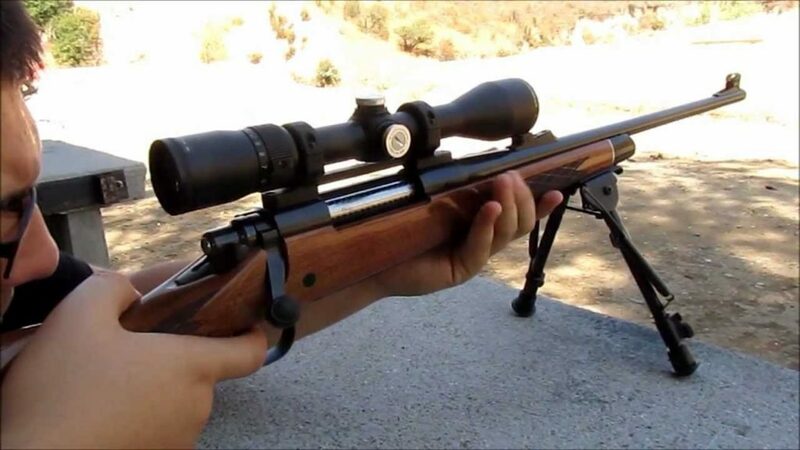 This is the bipod I’d buy if I needed just one to move from rifle to rifle with the confidence that it could handle anything from a .22 to .408 (no that’s not a typo). It’s extended legs can rotate 360 degrees within the mount, and thus you can get away with all manner of angles and configurations. Its all-steel construction features no exposed springs and an easy-locking, not that will let you have a rock-steady shooting platform, even at weird angles. The only downsides are the price ($540+) and the weight at 34oz, but if you’re looking for one bipod to do it all, this is the one. There are a lot of great AR-15 bipod options out there. Hopefully, this has given you some ideas about what makes a good bipod, how to choose, and some good places to start your search. What do you think of these bipods? Do you have a favorite? Be sure to let me know what you think in the comments, and drop a line if you have any questions. We’re always happy to help. What are you trying to say in the paragraph just below the last picture? Easy locking what? Am I going to have a rock steady shooting platform or not? Thanks. What is your opinion of Magpul’s bipod? Any comment or reviews for the accu-tac line of bipods? I have an Alexander Arms. 50 Beowulf, I’m looking for a durable bipod. Price isn’t terribly important, I want something quality that will last with the amount of recoil my weapon has. Any suggestions would be appreciated.